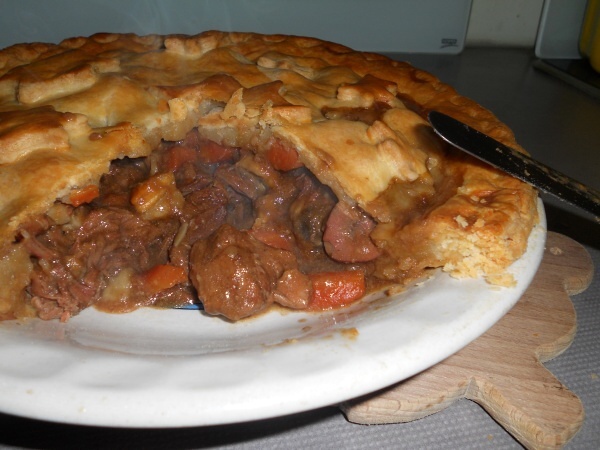 There's things I cook that I consider 'just everyday food' - Steak and Ale pie isn't one of those. It's time consuming and there's no getting away from it, there IS a fair amount of work involved. But the results are well worth the effort - I've yet to meet anyone who doesn't really appreciate a piece of Ts Cow Pie. 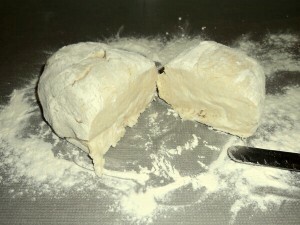 As with all recipes that take a while to get to the table I like to split up the working time. 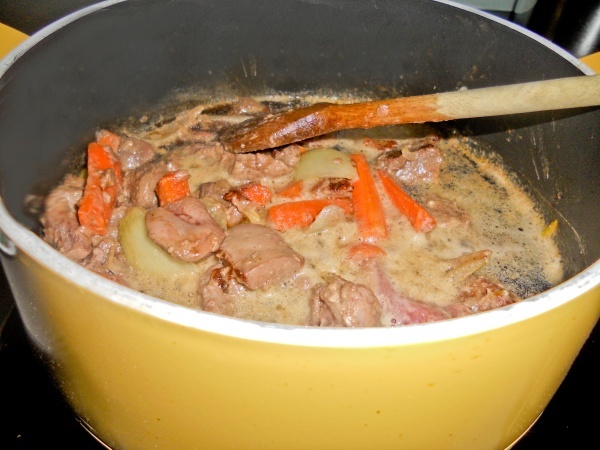 This recipe is perfect for two day preparation - I cook the meat in the slow cooker one day and assemble the pie the following day. 1. 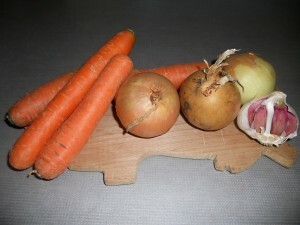 Chop the onions and carrots. 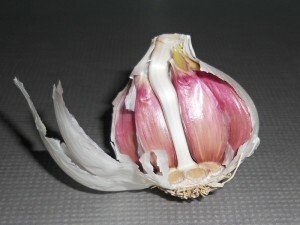 Crush a clove of garlic. Fry until the onions have softened. 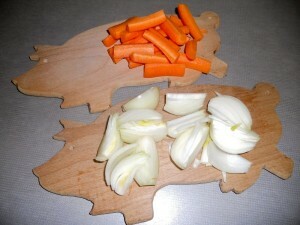 Add the carrots and garlic. 2. 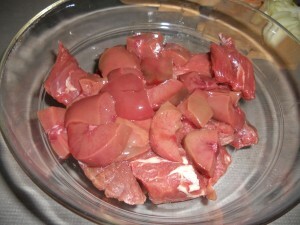 Put the meat in a bowl and coat with 2 tablespoons of seasoned flour. Fry if you want to but it is not necessary. 3. 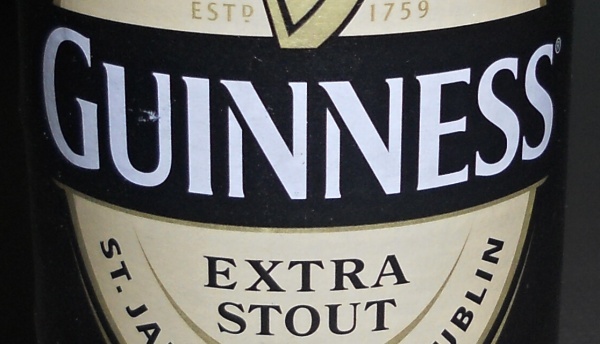 Put everything in the slow cooker with a bottle of Guinness and cook for around 8 hours. 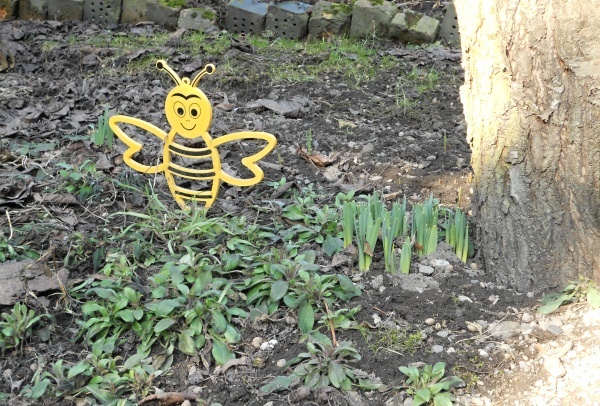 And thats it for the first day - apart from going to the garden to look at the first signs of Spring. 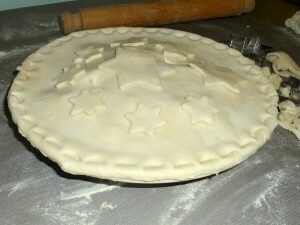 Making the Pie 1. 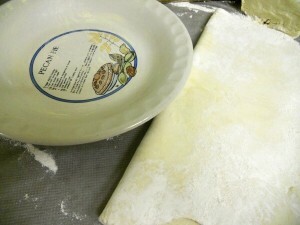 Grease the pie plate and lightly knead the pastry - recipe here. Cut it into two pieces approx. 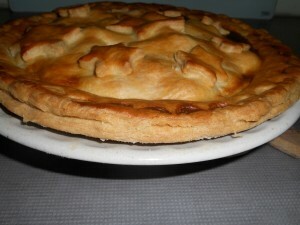 1/3rds and 2/3rds for the top and bottom of the pie. 2. 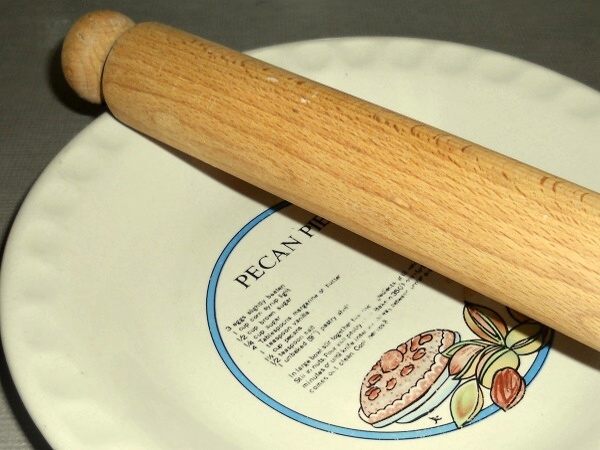 Roll out the larger piece and use it to line the plate. Fold it in half to make it easier to handle when lifting it. 3. 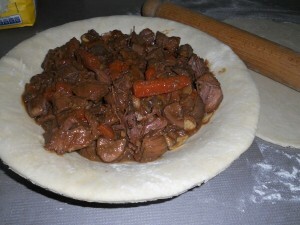 Trim the edge of the pastry before adding the meat. 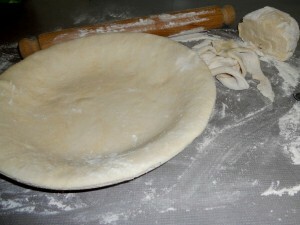 Wet the edge of the pastry and put on the top piece of pastry - the lid. 4. 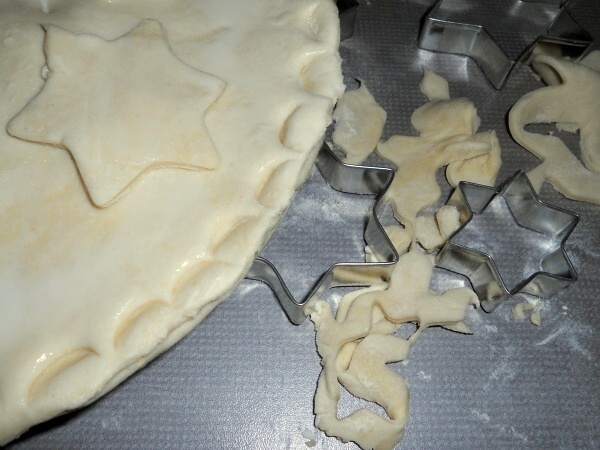 Have fun and decorate the pie with the scraps of pastry. Brush the top with milk. 5. 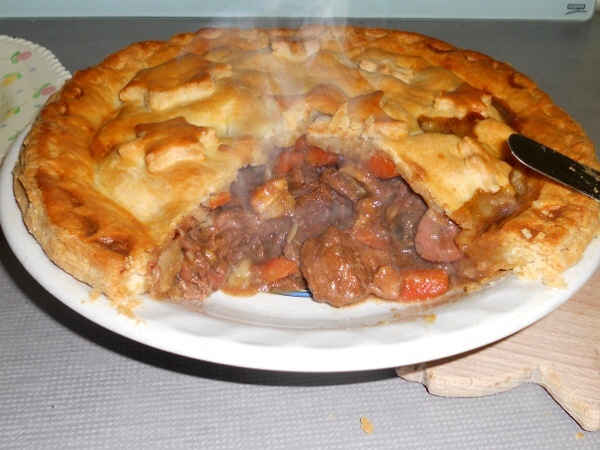 Cook the pie in a pre-heated oven 190°C for approx. 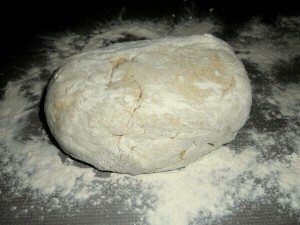 40 - 45 minutes until the pastry is a deep golden brown. 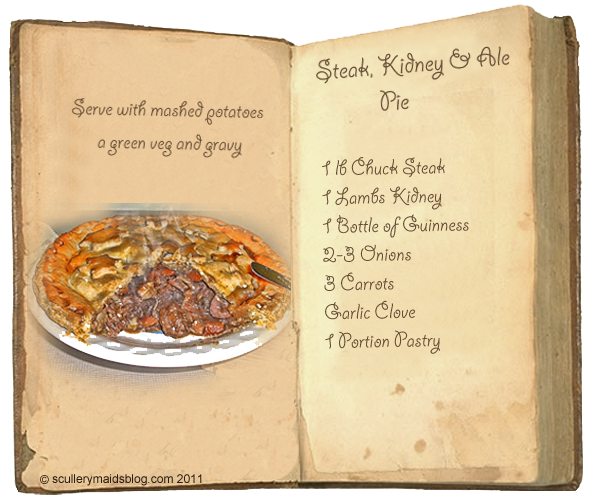 Notes: Add Kidney and/or mushrooms if liked.